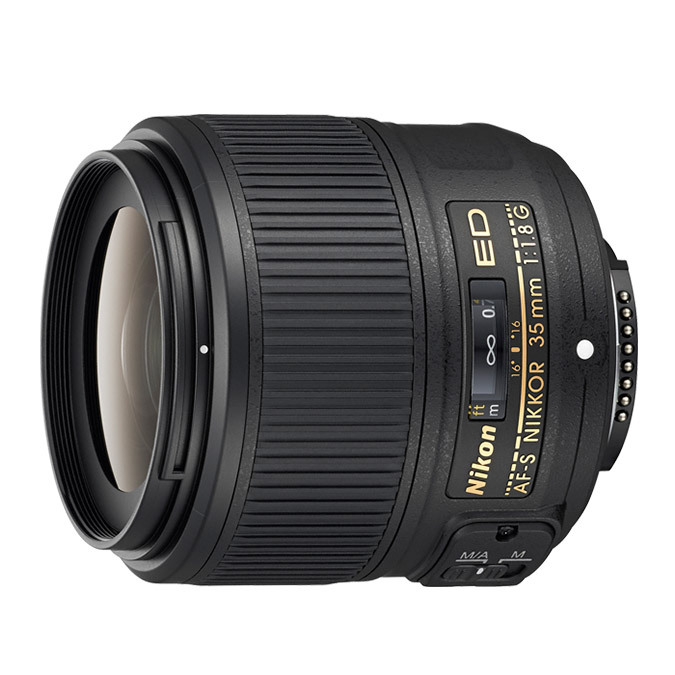 View cart “Nikon AF-S VR Zoom-Nikkor 70-300mm f/4.5-5.6G IF-ED” has been added to your cart. Unleash the power of your high-resolution Nikon HD-SLR. The AF-S NIKKOR 35mm f/1.8G ED draws maximum definition and image quality from Nikon&#039;s high-pixel-count image sensors for truly dazzling photos and HD videos. It brings the outstanding optical characteristics of AF-S NIKKOR 35mm f/1.4G to Nikon&#039;s f/1.8 FX-format prime lens collection, which includes 28mm, 50mm and 85mm versions. With 63° of coverage, ED and AS glass elements for outstanding contrast and minimal distortion, Nikon&#039;s innovative Silent Wave Motor for fast, quiet, precise autofocusing and a lightweight, compact design, the AF-S NIKKOR 35mm f/1.8G ED is an outstanding choice for your photo or HD video applications.